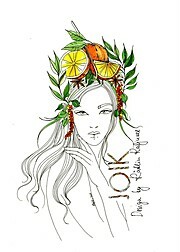 Kätlin Kaljuvee is one of the most creative illustrators and fashion designers in Tallinn, Estonia. 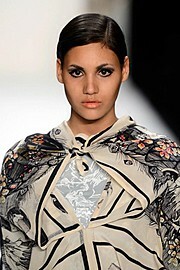 Studied in Estonian Academy of Arts and also continued her studies in Paris. Her first experience as a fashion designer started in India, thousands of kilometers away from her hometown. 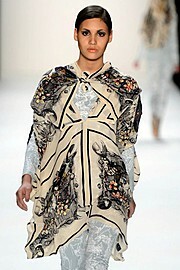 Afterwards she made designs for the biggest market of Eastern Europe. Kätlin ’s creation has found recognition all over the world. She has done collaborations in different fields – she is creative ambassador of r0tring ( german high-end writing tools brand), she has recently collaborated with Samsung, President of Estonia, Swedbank, done illustrations for haute couture houses like Givenchy and East European origin Ivo Nikkolo. Her works are published in magazines: Commons & Sense ( Japan ) , Milk X ( China ), Dash Magazine, FHM boutique fashion magazine ( UAE ), Veter magazine ( Russia ) , also she has a 10 years illustrating for Estonian journals like Eesti Naine, Anne&Stiil, Mari magazine, Regina, Mood. 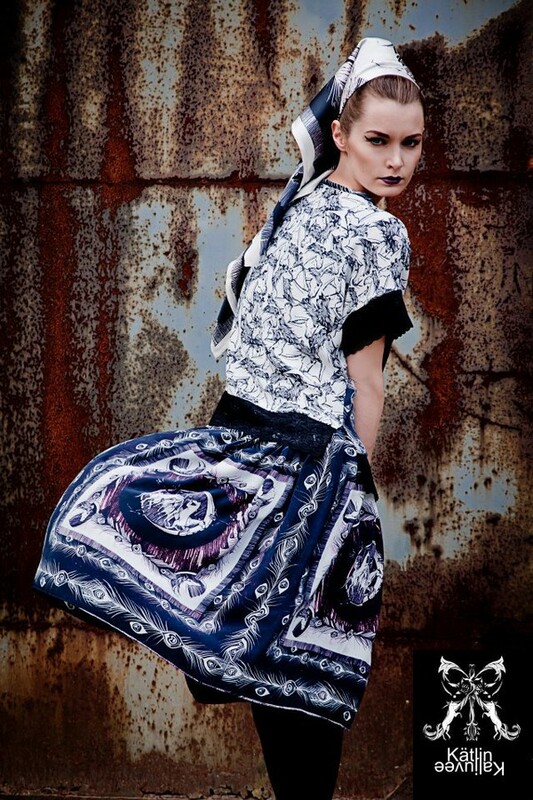 Few years ago Kätlin launched her own fashion label Kätlin Kaljuvee, her last collections have already found recognition; Her first collection „ The Story of Psyche” was nominated to take part of Baltic Fashion Award 2012 in Germany. With the second collection Kaljuvee was invited to take part in Berlin Fashion Week as part of the Baltic Fashion Catwalk for Autumn Winter 2013. Kätlin Kaljuvee exclusive hand-drawn ink-watercolour illustrations are inspired by diversity and beauty of Life, side by side with tragic forces of nature; combining destructive, creative moods and human existence inside of it. 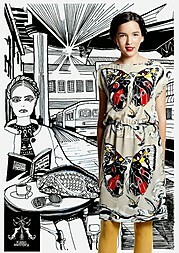 Her illustrative works has been exhibited in Shanghai, Tallinn, Stockholm and Helsinki. She is currently preparing her third fashion collection presentation, collaboration with Estonian origin nature based cosmetics brand Joik and testing animation field with Fork Film Animation studio.